Does languish cause creatures to die. How does Leyline of the Void interact with Kalitas, Traitor of Ghet? 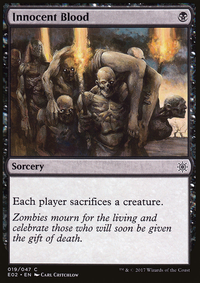 , Sacrifice another Vampire or Zombie: Put two +1/+1 counters on Kalitas, Traiter of Ghet. 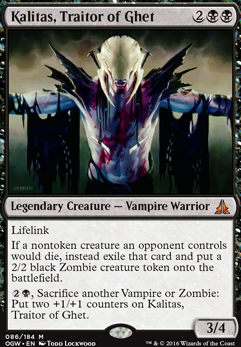 I love and have been running Vampires for a while:lagotripha's comment is a great way to go, build with those ideas in mind and you've got a fantastic deck to pilot. There are some cards and strategies I'd on to it, to make for different playstyles. 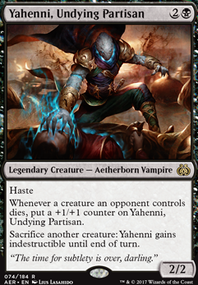 Kalitas, Traitor of Ghet is great, and you can see him do work in many versions of Jund that run him in the sideboard and mainboard. He's just fantastic as he is, but you can certainly build more around him. 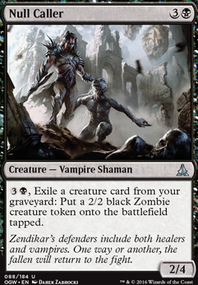 Stromkirk Noble and Vampire Lacerator are good 1-drops, if you want to go for a wider strategy. Lacerator can be a bit rough sometimes, and is kinda a preference/build choice. Asylum Visitor 's a strong hitter with card draw, and acts a sorta pseudo- Dark Confidant that fits in the tribe. Drana, Liberator of Malakir is also a powerful flying 3 drop, and the built-in first strike and evasion are incredibly useful. 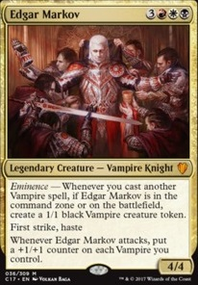 A great utility piece to consider, as well, is Kolaghan's Command . So much choice on that one, it lends itself to quite a variety of situations. Fair enough, thanks for walking me through the reasoning. Been out of modern for a few months now, so I haven't kept up the best. 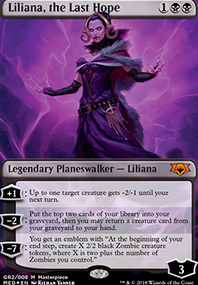 That said, is Kalitas, Traitor of Ghet better than Liliana, the Last Hope in the sideboard? Lili has a game winning ultimate and while I'm a huge fan of Kalitas, she doesn't have as much use in my opinion. 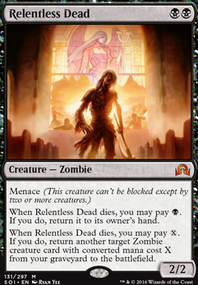 Hey just saw that you're running Ravenous Slime for the grave hate and was wondering if Kalitas, Traitor of Ghet wouldn't be a better card? 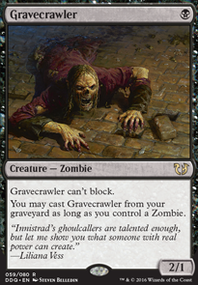 Similar grave hate effect, but Kalitas just overall seems better. I know it's more expensive though, but otherwise I can't see the downside. It looks to me like the top end of your deck is too heavy. Most modern decks don't play anything above cmc 3. The midrange and control decks will have only 4ish cards with cmc 4 or 5. Basically, you should only need to draw 1 card with cmc 4 or 5, which means you only need to run at most 5 such cards. Exquisite blood and sanguine bond are overkill. You are very unlikely to get the combo off. Kalitas, Traitor of Ghet is a great option for a finisher. He turns the corner vs aggro decks. I highly highly recommend playing 4 Fatal Push and 4 Cast Down for your removal. Doom Blade misses Gurmag Angler and Death's Shadow (among other relevant creatures too). Cast Down only misses Thalia, Guardian of Thraben and the 1-of Lyra Dawnbringer from UW Control sideboards. 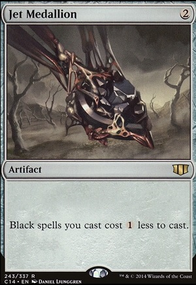 Another card you might consider if you're going for a midrangey token style build is Bloodline Keeper Flip which closes the game pretty fast. 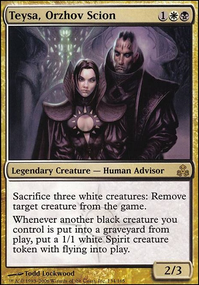 Kalitas, Traitor of Ghet is usually too expensive for an aggro build but would be great in midrange. 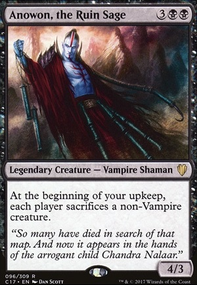 I also would recommend Malakir Bloodwitch in the sideboard against Path to Exile decks. 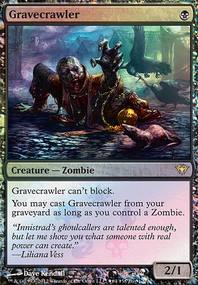 It's another card that doesn't make sense in an aggro build, but is great if you are trying to be disruptive and play the long time. Might be too many lords, 4 Captivating and 4 Stromkirk seems like overkill. I'm not a fan of Bloodline Keeper due to him being slow and Indulgent, I feel should probably be lower. More utility creatures are a good idea. 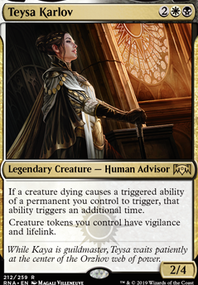 If you want tempo then things like Viscera Seer , Bloodghast , Gatekeeper of Malakir , Olivia Voldaren and Kalitas, Traitor of Ghet are all great. 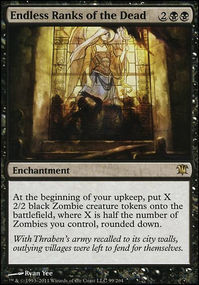 Worth mentioning: Stromkirk Noble is a crazy good 1-drop, despite not being black. I also feel like 4 Fatal Push is obligatory here. Kinda prefer Asylum Visitor over Zealots because I like hitting hard. 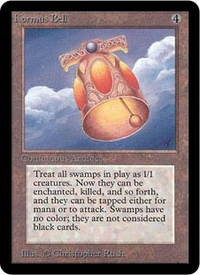 Land recommendations: Go big on fetches and run 1-2 Urborg, Tomb of Yawgmoth . The Ghast and Nocturnus synergy is unreal. Could probably cut a Cavern or 2, perhaps a mutavault. 8 feches is plenty but if you can go to 9 or 10 do so. Good luck, have a nice drink tonight if you know what I mean.